I remember picking the speckled "baby" beans from the Black Runner plant and the pods appeared to have faint stripes similar to the Rattlesnake beans. Offspring of Painted Lady and Rattlesnake. Beans are so pretty! Interesting crosses! Beans can cross. Most places don't have insects that can do if for regular beans, but some places do. And runner beans are fairly easily cross pollinated from what I hear (personally never grown more than one type of runner bean at one time). BTW your cross looks just like a painted lady runner bean that was sent to me. The top one looks more like the normal runner beans I see. It will be interesting to grow them out and see what I get. I've got a book review coming up and in that book the author talks a lot about bean crosses. Apparently it's not that uncommon. They sure are pretty, though. Very interesting, indeed! And beans do easily cross; however, to cross, they need to be the same species, and runner beans and rattlesnake beans aren't the same species. Runner beans are Phaseolus coccineus while the rattlesnake beans are Phaseolus vulgaris. My guess is that either some latent genes sprung up as your runner beans crossed, or someone within bumblebee flying distance grows runner beans too. It will be fascinating to try growing these out and seeing what you come up with. Looking at your post again, I think the crosses are actually between the black runner and the painted lady. You can get a variety of progeny from crossing (just like kids within one family are different from eaither)between parents--just because it is the same parents that crossed doesn't mean the offspring will be identical to each other. So interesting to see your beans crossing. I wonder how the little plants will be. 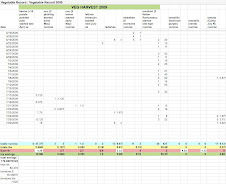 I didn't had much luck this past season with beans, but I will try again for sure. I'm growing organic vegetables in suburbia. 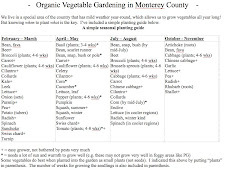 The central coast climate provides lots of opportunities (& a few challenges) to vegetable growers. I'm just trying to sort it all out. For further info click here.